The Intel Pentium N3710 is a quad-core SoC for entry-level notebooks, which has been presented in early 2016. It is clocked at 1.1 - 2.56 GHz and part of the Braswell platform. Thanks to its new 14 nanometer low-power process (P1273) with tri-gate transistors, energy efficiency has been significantly improved compared to its predecessor Bay Trail (e.g. Pentium N3520). In addition to the CPU cores, the SoC offers a DirectX 11.2-capable GPU as well as a DDR3L Memory Controller (2x 64 bit, 25.6 GB/s). It is the successor to the 2016 Pentium N3700 and offers a higher Boost clock of 2.56 versus 2.4 GHz but a lower base clock of only 1.1 versus 1.6 GHz. The GPU is technically still the same but now renamed to Intel HD Graphics 405. Compared to its predecessor the Pentium N3700, the N3710 can be faster if the Boost clock is held. If the cooling is not sufficient it may even be slower. In our first review sample, the N3710 was on par with a A6-5200 in Cinebench R15 and therefore slightly faster than the N3700. In the 3DMark 11 physics test however it was equally fast as the N3700. Using Windows, the CPU is adequate for everyday tasks such as Internet browsing or office applications, but may struggle in more demanding software. 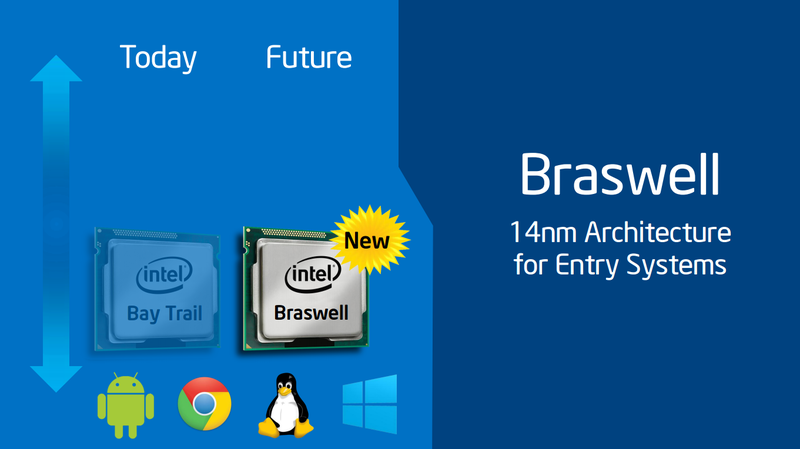 The HD Graphics 405 (Braswell) is based on the Intel Gen8 architecture, which supports DirectX 11.2 and is also found in the Broadwell series (e.g. HD Graphics 5300). With 16 EUs (Execution Units) and a clock speed of up to 700 MHz, the GPU is about twice as fast as the HD Graphics (Bay Trail), but still not powerful enough to handle demanding 3D games of 2015. The GPU also supports 4K/H.265 video acceleration. The entire SoC is rated at an TDP of 6 watts (SDP 4 watts). Thus, the chip can be cooled passively but is not in all devices.